Welcome to our web page. We will do our best to update you with information concerning our events, meetings, and gatherings for our Section's Women's Ministry throughout the year. In the meantime, here is a brief description of the vision for our Women's Ministry. "...being like-minded, having the same love, being one in spirit and purpose. Do nothing out of selfish ambition or vain conceit, but in humility consider others better than yourselves. Each of you should look not only to your own interests, but also to the interest of others." "...ia gatasitasi o outou manatu, ia ia te outou le alofa fa'atasi, ma le loto gatasitasi, ma le manatunatu i le mea e tasi. Aua ne'i faia se mea e tasi ma le finau vale, ma le mitamita fua; a ia taitasi outou ma manatu ma le loto maualalo ua sili nisi uma ia te ia. Aua ne'i taitasi ma va'avaai i ana lava mea a ia taitasi ma va'avaai i mea a isi." 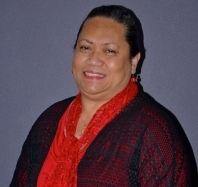 Looking forward for greater and mighty blessings in the Northwest Samoan Section Women's Ministry!